Adele Swanson has been sewing all of her adult life – mostly clothes and home dec – until 2009 when she attended her first quilt show. Adele left the show and went to Red Hen Fabrics in Marietta and bought her first quilt kit. That quilt was made in January 2010 for one of her grandnieces. The East Cobb Quilt Guild has a show every two years. Adele has had at least one quilt hanging in each show since 2011. Some of her quilts have also hung in other local shows. She says it is always thrilling to be chosen and fun to share the experience with family and friends. Usually Adele will make what she wants to and if someone likes it they can have it or purchase it. A few of her quilts will never be sold or given away – that first one that hung in the show in 2011 and some other quilts that are special to her. Adele has made probably 100 quilts since that first one in 2010. Her quilts are given mostly to family and friends, but a few have actually been sold. Adele and her mother, Beverly, bought their house in Huntley Hills in 1991. 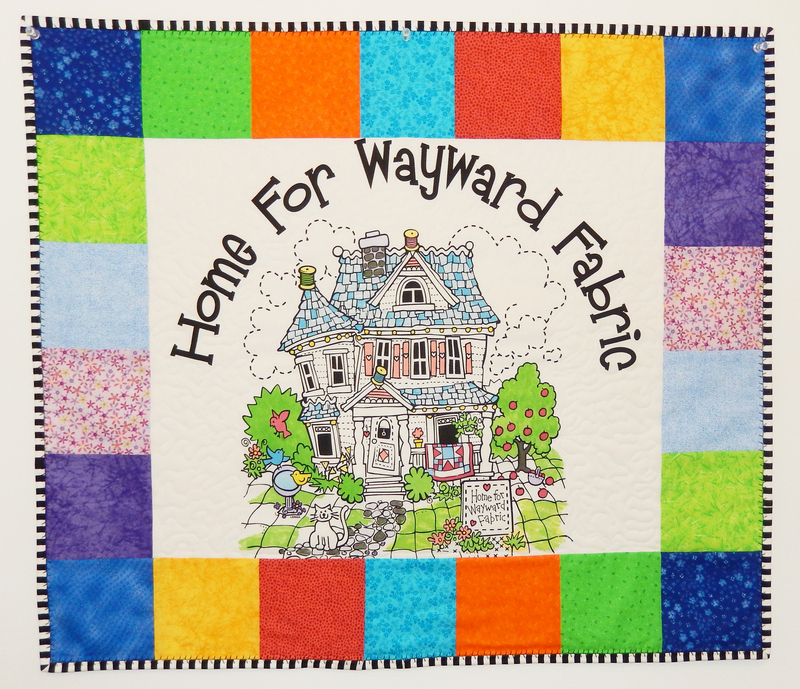 Her mother is also a quilter and they enjoy sewing together in their fabulous studio. If anyone is interested in starting a quilt group in the neighborhood, let her know. She can be reached at adeleswanson@att.net.